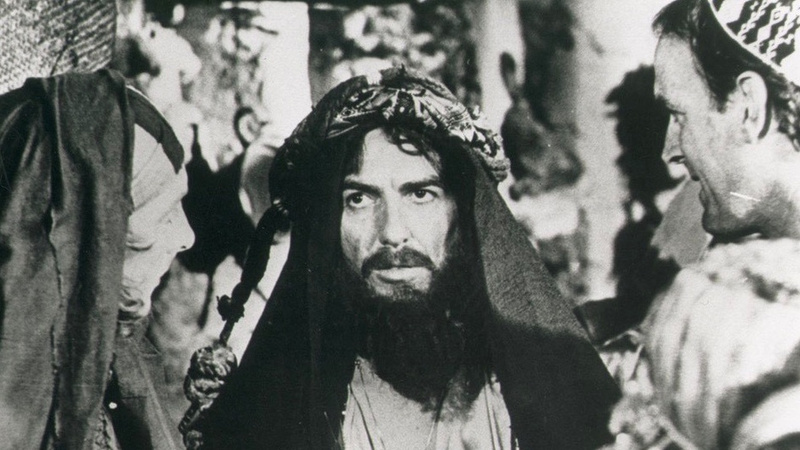 George Harrison remortgaged his house to finance Monty Python’s ‘Life of Brian’ because he “wanted to see it”. Sir Michael Palin revealed that after EMI got “cold feet” about the classic 1979 comedy – which follows Brian Cohen (Graham Chapman) as he is repeatedly mistaken for the Messiah with his life paralleling Jesus’ own story – Eric Idle sought the help of The Beatles star, who “pawned his house and arranged a loan of $5m”. In an interview with the Guardian, Palin – who was a founding member of the iconic troupe – said: “EMI was going to finance the film, but got cold feet. It was a mortal blow, because we were already in pre-production. “So Eric went to Hollywood and pitched it to George Harrison, who had been a huge Python fan since the first TV programme. Palin, 75, also explained how Monty Python – made up of himself, Idle, Graham Chapman, John Cleese, Terry Gilliam and Terry Jones – came up with the idea for the cult comedy and originally thought they could “never” do a film focused on religion. He continued: “We were on a publicity tour in Amsterdam for ‘Monty Python and the Holy Grail’ when Eric Idle came up with the title ‘Jesus Christ: Lust for Glory’. “We all laughed: “We could never do that!” But we liked the challenge of doing a film about religion. Then someone suggested it be set around the time when Jesus was alive, but it’s a case of mistaken identity.